This is my top ten horror list I hope you enjoy. Thank all for voting and I hope your film won. You can check out part 1 here and part 2 here. 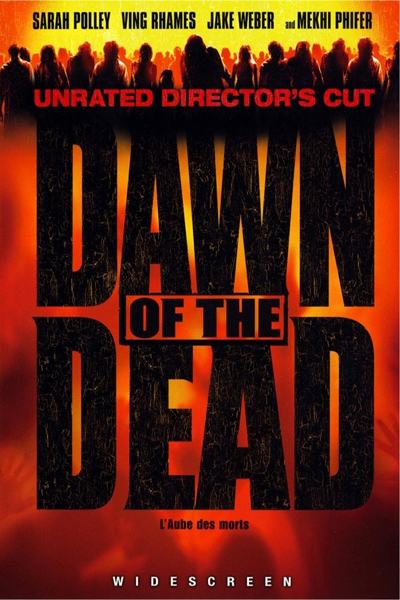 The winner voted by you for part 1 is Dawn of the Dead (2004) with a whopping 38.55% (32 votes) beating 28 Days Later (2002) 25.3% (21 votes), this was the best result for my polls with a total of 83 votes and I am glad Dawn of the dead (2004) won part 1. So for the winner of the poll here is my write up and the whole poll results for part 1 below. This is a great remake of a horror classic and delivers on making it into a modern horror film. Sarah Polley and Ving Rhames star as two of the last remaining people on an earth that has been ravaged by flesh-eating zombies. After escaping to a shopping mall with a handful of other survivors, they decide that they only way to truly elude the approaching throng of undead is to somehow make their way to an island that is supposedly zombie-free. Tim’s Film Reviews Recommended. The zombies are scary and realistic, the characters are believable and you fear for their lives, I don’t normally like films stuck in one place but this one makes it into my exceptions. Most importantly the dog doesn’t die for once. This film is in my opinion one of the very best zombie films in recent times. The winner voted by you for part 2 is The Descent (2005) with 47.13% (41 votes) nearly half the overall votes, beating the next highest voted The Mist (2007) which had 22.99% (20 votes) . 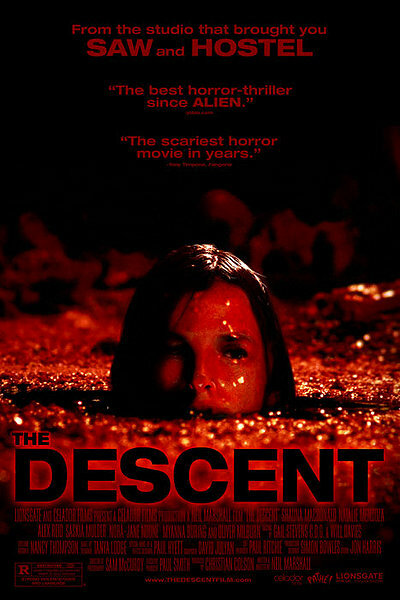 Well done The Descent (2005) then getting the highest vote in any poll yet. This poll got the most votes in total yet (thanks everyone). So for the winner of the poll here is my write up and the whole poll results below. Neil Marshall you sick genius. If you are claustrophobic then this is definitely not for you! Now I am not claustrophobic, in fact I am one of those people who would bounce up and down in a lift to scare other people but I really don’t like being constricted and those caves are horrible (I don’t even like ties being too tight) A group of close female friends on a yearly adventure vacation find themselves trapped and hunted in a series of caves by an unknown force that lurks in the shadows in The Descent, the second horror feature from Dog Soldiers writer/director Neil Marshall. Tim’s Film Reviews Recommended. Dear god this film scares the $#*! Out of me! And that really is saying something, I may jump in most horror films but they don’t truly scare me like this film does. The female acting in this film is one of the best I have seen in a horror and they really can portray horrific scenes and terrifying moments which really makes you think what people may do to survive.